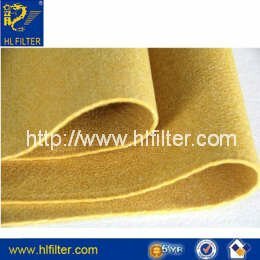 P84 (Felt) Normal continuous operating temperature is 260degrees. Common applications include: smelters, dryers, coal-fired boilers, incinerators, kilns, and calciners. against acid attacks and is resistant to flex abrasion (unlike Fiberglass). Alkaline should be avoided at high temperatures with using P84.